Doug has overseen the growth of Mitchell Wilson for two decades, where his knowledge and integrity have made him a trusted partner to business owners and entrepreneurs in industries as diverse as financial services, travel, media and transport. Hailing from the Apple Isle, Doug qualified as a Chartered Accountant while working at his first firm, and became a partner at Moore Robsons in Hobart at just thirty. He made the move to Melbourne in 1990, when his chapter of the Mitchell Wilson story began. Doug considers it a privilege to play a role in the financial wellbeing of others, helping to unlock their potential. Clients say it's his willingness to go the extra mile and a real understanding of the business reality behind the numbers that makes all the difference. Doug has a strong commitment to community care through his involvement in his local church. He also sits on the board of Access Ministries, which provides chaplains to Victorian schools and is a board Director of Nadrasca, a not-for-profit disability service organisation. When the opportunity for a break arises, Doug can be found travelling, relaxing at a BBQ with friends and family, four-wheel driving or playing a round of golf. Michael is a skilful and savvy Chartered Accountant and client manager who enjoys applying his technical knowledge to assist clients with a range of tax planning and compliance requirements. Intelligent, driven and versatile, Michael has long had an interest in tax and money management, and is adept at preparing the financial accounts and tax returns of small to medium businesses from a wide range of industries. A great communicator, Michael is committed to understanding his clients' businesses in order to address their individual needs. Michael is passionate about sport and is himself a talented sportsperson. He represented Victoria at a national level in gymnastics and received the Golden Whistle Award from Football Victoria in 2007 for excellence in football. Like his favourite player Lleyton Hewitt, Michael also displays a fighting spirit on the tennis court, but gets his inspiration from football legend Jim Stynes for his commitment to his beliefs, and for supporting those in need. Michael is also a passionate Collingwood Football Club supporter. Tim is a dedicated accounting professional, AFL Magpies supporter and family man - not always in that order! With extensive accounting and client relationship experience, he helps steer the ship as an associate and a member of the leadership team. Tim works closely with a great team of people to deliver tax consulting services that make a real difference to clients, who are generally business owners and entrepreneurs. He is motivated by the opportunity to translate his technical knowledge and financial acumen into practical solutions that help his clients stay on top of their tax and compliance obligations, maximise income and achieve success. Having run her own business for many years, Sue brings a genuine understanding of the range of issues facing small to medium sized businesses to her role as client support manager at Mitchell Wilson. She is the communication link between clients and staff and is committed to fostering great relationships by being responsive and knowledgeable. As a member of the leadership team, she manages key business improvement projects and deals with client matters relating to the Australian Securities & Investments Commission (ASIC). Sue admires people who give their time freely to help and support others, often without reward, praise or recognition. Her interests include reading, the occasional movie, eating out and catching up with friends and family. Adam is an experienced Chartered accountant and client manager who liaises closely with small to medium businesses to assist them with a wide range of business challenges and compliance requirements. Determined, sociable and down to earth, Adam has always had a broad interest in business: the people, the processes and the numbers. An accountant who can be consulted on any number of fields from the basic to the complex, Adam focuses on building quality relationships by listening, then analysing and solving client problems. As a competitive swimmer in his teens, Adam admired the hard work, ethics and professionalism of elite swimmer, Kieren Perkins. He may not have made it to Kieren's level in the pool, but Adam brings those same values to the office every day. Oh, and he's still mad about sports. Go Hawks! Christina is an experienced Certified Practicing Accountant (CPA) and client manager who is committed to helping small to medium businesses and entrepreneurs achieve their goals in today's complex accounting and taxation environment. Hard working, determined and astute, Christina loves a challenge and enjoys providing strategic advice to a broad range of clients. Christina is inspired by people who have a 'can-do' approach to life, and she adopts the same attitude in everything she does. ln her spare time, she loves going to the gym, spending time with family and friends and travelling. Asoka is a talented Certified Practicing Accountant (CPA) who enjoys adding value to her clients' businesses by helping them with a range of financial issues including tax, compliance and financial planning. Efficient, thorough and astute, Asoka prides herself on having excellent attention to detail and a cool head for business and numbers. Although her undergraduate degree was in Engineering, she completed her Masters in Accounting and has gone on to specialise in the areas of taxation and Self-Managed Super Funds (SMSF). Her passions include family, Zumba and staying fit and healthy. She is inspired by many people, especially charismatic Sydney neurosurgeon Dr Charles Teo, and her mother, who she says was a determined, capable person who never accepted defeat. Kiera has always had an interest in business and is enjoying learning new skills as a client accountant. She loves the variety of her role. From sole traders to super funds, every day brings something new. Kiera majored in Japanese as part of a combined Commerce/Arts degree and brings to the firm a passion and flair for the language. A highlight of her time at university was going on exchange to Japan. Not only was this a great opportunity to practice speaking the language, she also got to learn more about Japan's rich and complex culture and see the country's beautiful landscapes, architecture and gardens. She's keen to continue developing her Japanese language skills and one day hopes to incorporate this knowledge into her career in business. Kiera's other great passions in life are reading and travelling. Nick is an accountant who has recently joined the Mitchell Wilson team. By learning from his teammates and applying his knowledge to assist his colleagues and clients, Nick is rapidly gaining invaluable work experience as an accountant. He is enjoying this phase in his career that allows him to learn new things every day. Nick is an accountant who has recently joined the Mitchell Wilson team. By learning from his teammates and applying his knowledge to assist his colleagues and clients, Nick is rapidly gaining invaluable work experience as an accountant. He is enjoying this phase in his career that allows him to learn new things every day. When posed with a question Nick especially loves the process of researching concepts to help find a solution that works effectively. He is currently enjoying the process of collaborating with his colleagues and benefiting from their knowledge and experience. Tina is an accountant who enjoys helping her clients solve problems and get the most out of their finances. Her consistently high standards and attention to detail give her a professional edge her clients greatly benefit from. After earning her accounting degree at Monash University, Tina gained a wide range of industry experience. 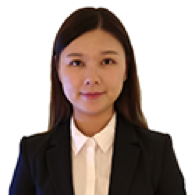 From working as an external auditor in China, to now being a professional accountant in Australia, she has developed an appreciation and passion for the technical aspects of her role. A real team-player, Tina enjoys the process of collaborating with colleagues. Tina loves that her work also builds her skills, and contributes to her quest for learning. We believe in Simple, Professional & Flexible consulting Standards.